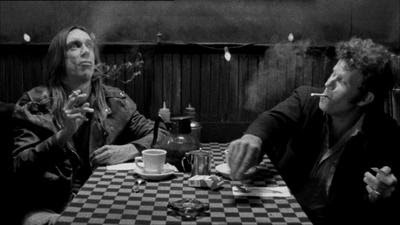 Image from film "Coffee and Cigarettes"
Welcome to the interview archive. We hope it will grow into something enormously extensive. Robert Johnson - July 2007- We had to start somewhere, so we made this one up. Or did we? Joanne Shaw Taylor - January 2010 - After over two years riding the success of the Robert Johnson feature, we decided to interview a living artist. And Joanne is alive alright. 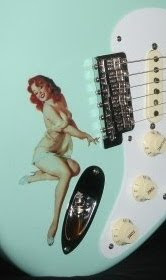 Check out her guitar playing! Shane Theriot - Sept. 2010 - This cat can play! Shane speaks with us about his "Dirty Power" release, one of the last sessions by late great drummer Ritchie Hayward. Eric Gales - Sept. 2010 - A great interview! Eric has a new release "Relentless" and is building up momentum. Eric Johnson - Oct. 6, 2010 - Interview by Jas Obrecht, which I was graciously invited to contribute questions for. I'm not kiddin' either! Just check the credits at the end of the interview! Chris Duarte - Oct. 18, 2010 - One of the hardest working and most passionate Strat slingers around takes time for a great interview on the eve of his INFINITE ENERGY release. Stay tuned for new interviews!